Every year, hundreds of workers are killed or injured after falling from ladders. You may even be surprised to discover that more falls occur when stepping down compared to going up ladders. Today, we’ll give you an in depth look at how to carry out pre-use checks on your ladders and steps properly – that way you won’t make any mistakes. These should be carried out every time before use of any type of ladder or step. Need help or unsure? 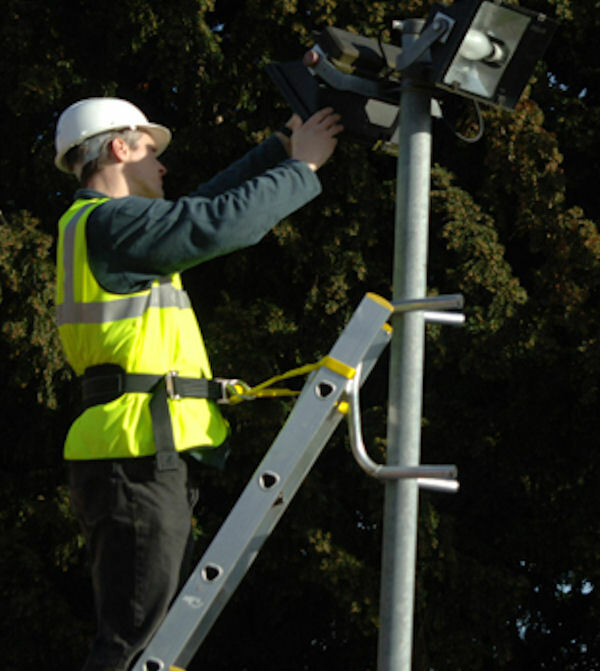 We offer on-site ladder inspections and training to help you and your employees stay safe. Surprisingly, the number of injuries and ladder accidents within the construction industry has increased in the last 10 years. This fact has led to the Health and Safety Executive (HSE) stepping up safety awareness and legalisation when it comes to ladder safety. Since ladders are just everyday objects, it is very common for people to take them for granted but like any work equipment a person must be trained and competent in using them correctly. Even though there are countless incidents where people have used ladders without having an accident, it is recommended that you have them thoroughly checked by a competent person at least every 6 months. You or your employees MUST also carry out a pre-use inspection before using the equipment. Even for seemingly small domestic chores, take the time to go through these checks. You’re ladder stiles should not be dent, nor have any dents, splinters or creases. That means that any deformed or impacted stile is a sign that your ladder may bend or even snap under pressure – it’s not worth the risk. Are your ladder feet worn, damaged or even missing? To be blunt, that’s a recipe for disaster. Essentially, you must be able to rest the feet on a flat surface without it wobbling at all. Missing, bent, or splintered treads/rungs will weaken the ladder. It might snap if in use and undermine the structural integrity. Are these bent, loose or damaged? Are they firmly attached? The platform is a part of the structural integrity of the entire ladder ensure it’s not bent and the rivets are attached. Check the platform’s support bar isn’t bent or damaged in any way. 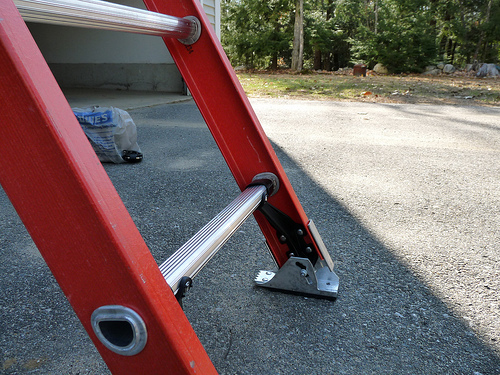 Check the entire ladder/step ladder for cracks, loose rivets, and splinters, ensuring it’s on a level surface and that the steps are clean & dry – because of wear or due to spills in prior use. This a big no no! Paint covers up defects on the aluminium, timber or glass fibre, which the equipment is made of. Timber/wooden ladders should only be painted with clear preserver in order to keep defects visible. A ladder may look like it’s ok to use – but wait a minute. The ladder itself may seem like it’s in perfect working condition and thus safe to use, but if it can’t hold your weight, the ladder will collapse. Check the load capacity and stay well within that range. Remember: A ladder is a simple piece of equipment, but even the simplest of equipment needs regular care, attention and inspections.